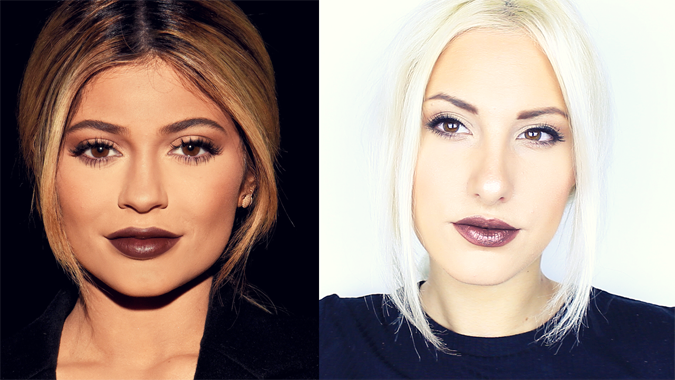 I have finally created a Kylie Jenner Inspired Makeup Tutorial! This I was excited about, ever since I saw her gorgeous makeup when she attended the Vera Wang Fashion Show, I just wanted to re-create her look. Kylie Jenner, the youngest of the bunch of Kardashians has become a little gem! She's one to look out for if you love makeup. She's obsessed with makeup and the lip colour she is wearing here is in fact from her #kylielipkit which is set to be her new line of lipsticks which was shown on her new App called KYLIE. I Decided to recreate the look using affordable products which were mainly drugstore, so if you want to know how to get the look, watch the tutorial below! WHAT'S YOUR FAVOURITE KYLIE JENNER LOOK?